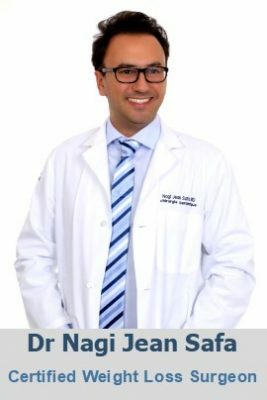 Welcome to Advanced BMI Weight Loss Surgery in Lebanon. 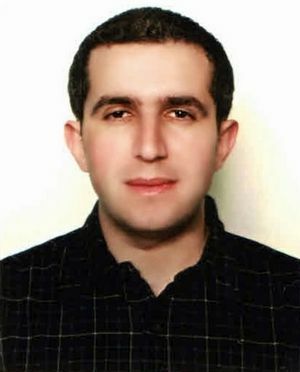 Dr Abdo Alam graduated from the Lebanese University with a diploma in internal medicine and pulmonology. Upon graduating, Dr. Alam completed his specialty in France. He has also received numerous certificates and accreditations in pulmonology as well as reanimation. He currently practices pulmonology and reanimation in several hospitals and specialized clinics in Lebanon, including Advanced BMI Clinics, Sacré-coeur Hospital, and Hayek Hospital. Specialised in Physical therapy from the Lebanese University. American Board of Anti-Aging Health Practitioners from the American academy of Anti-Aging Medicine. He also specialized in Advanced manual Myoskeletal therapy from (FFPI-USA), in Lymphatic system therapy from (CHUV-France), in Polarity and Healing therapy from (HHS-USA) and in Body reshaping & Medical Laser therapy from the (A.E- France). Member of the World Confederation for Physical Therapy, and the Arab and European confederation for physical therapy. Jessica is a Qualified Nurse and a Certified Laser Technician. 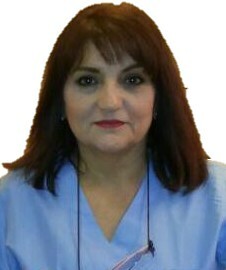 She achieved many laser-training programs and acquired many certification in the Laser Treatments. She is also a Certified Laser Therapist from ALMA Lasers. Jessica has more than 6 years’ experience in treating and removing unwanted hair using the newest and safest laser hair removal technologies. Why should you consider weight loss surgery? Obesity is destructive to a person’s health. Someone who has a BMI higher than 35 kg/m2 has twice more risks to die early than a person with a normal BMI. This consequence manifests 8 to 19 years of having obesity.) Overweight is a precipitating factor for many grave, lethal diseases, comprising type 2 Diabetes, many cancers, high blood pressure, heart disease, obstructive sleep apnea, and strokes. Research demonstrates that the risk of death from these illness become normal after bariatric surgery. No longer than the first six months following the surgery, patients frequently no longer need to take medications for many of these diseases. Besides, weight loss will increase the fertility rate in women. Who is candidate for weight loss surgery? To be qualified for bariatric surgery, we do not consider age anymore. Many studies show that bariatric surgery could be beneficial to adolescent. In addition, we do not fix a superior limit of age, as long as your health is in good condition to sustain general anesthesia. Your body mass index (BMI) is a significant factor. If you BMI is higher than 30 and you tried many times to decrease your weight with an appropriate diet and exercise program with no success, you could be a candidate for bariatric surgery. Diabetes, blood hypertension, high cholesterol, obstructive sleep apnea and many other factors will influence the surgeon’s decision. The more your heath is at risk, the faster you will be considered as a candidate for surgery. It is important to keep in mind that you should not get pregnant the first 12 months after bariatric surgery. During this period, you could experience some nutritional deficiencies that could be harmful to your baby. How is recovery after weight loss surgery? Nowadays, medical treatment for obese patients become much more secure. With the latest advanced in laparoscopic surgery and anesthetic procedures, the risk of bariatric surgery has dropped down significantly. Most patients will recover from surgery within a week. The hospital stay is no longer than one or two nights. Patients who undergo the laparoscopic gastric banding could leave the same day. For the laparoscopic gastric plication, gastric sleeve and gastric bypass, it is better the stay overnight. Male performing weight loss surgery. Female performing weight loss surgery.